The Compass Box Penicillin is a classic on any list. Here, Bar Director John deBary from the innovative and highly regarded restaurant group Momofuku tells us a little about why they have taken The Penicillin to their heart and how they pair it with their award-winning food menu. Why did you choose the Penicillin for your menu? We added it to our cocktail programs at Momofuku Nishi and Momofuku CCDC after its success at Ssäm. At Momofuku, we try to create accessible cocktail programs that feature whiskies from all over the world, and the Penicillin is one of the best cocktails to represent that. What foods in the Momofuku menu do you think it pairs especially well with? At Momofuku Ssäm bar, the combination of choice for me is always pork buns with a Penicillin. 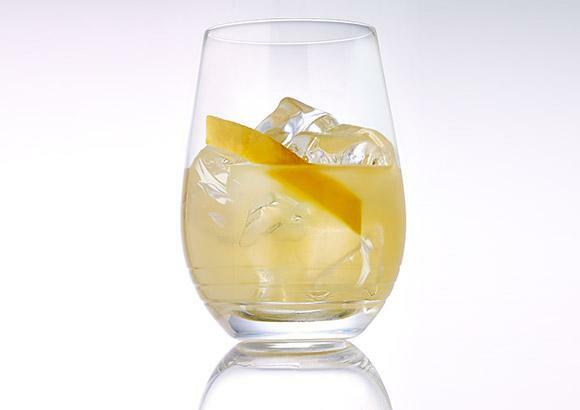 It’s a versatile cocktail, and I think it can pair well at any point in the meal, but the bright, spicy elements from the lemon and ginger balance the pork belly, and the smokiness from the Scotch is a great accompaniment to the overall flavors in our pork buns. At Momofuku Nishi, I was originally not planning on serving this drink on the menu, but added it by popular demand. Right now we’re serving a chicken and dumpling dish, with thick, hand-torn noodles and a rich broth. Again, the bright spice from the Penicillin makes this my favorite pairing for this dish. When we opened Momofuku CCDC, our chefs developed a beef noodle soup dish for the menu that’s one of my favorite dishes we have there. I find the Penicillin is a great balance to the warm, rich beef broth, with the smoky Scotch amplifies the smoky elements of the soup. What do you do that makes your Penicillin different? Ironically, I think what makes our Penicillin ‘different’ is that we strive to be as faithful to Sam Ross' original recipe as we can. As with any classic cocktail, there are different interpretations, or expressions of the original idea of the cocktail. First, we use two different scotches, per the original recipe. Second, we adhere to a very spicy ginger syrup recipe because to me, the cocktail is all about the balance of ginger and Scotch flavors.